Thanks to Alicia for sharing this restaurant with the Yummy Plants community! She says, "I fell in love with this place while visiting Orlando & ate there every day!!!" Their menu is 100% vegan and features hearty homestyle meals. And they offer a delicious made-from-scratch soup each day. Let us know what you think about this awesome vegan friendly restaurant: Ethos Vegan Kitchen in Winter Park, Florida. If you are anywhere near Orlando, this place is a must. It’s actually my favorite restaurant near Orlando. 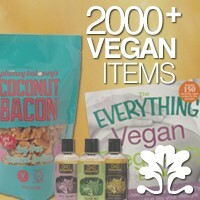 Even if you are NOT a vegan you will absolutely LOVE IT! Check the menu online and you’ll start to get heart palpitations knowing that EVERYTHING is vegan. They even have a Saturday and Sunday brunch. I ordered the pecan encrusted eggplant with vegan mashed potatoes and vegetables and then took some vegan cookies back to the hotel for dessert. 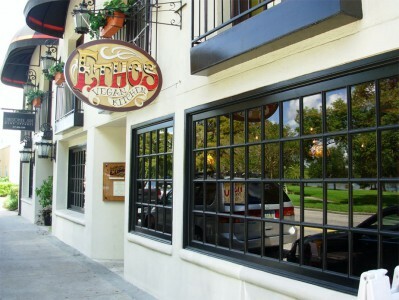 This restaurant is located in the quaint area of Winter Park, Florida. It truly is a gem. I’ve been in Orlando less than a week and have eaten there twice. Same as Alicia, I love, love, love this place. It’s 25 min from my hotel. I got a vegan chili, chick pea faux egg salad sandwich and a vegan Sunday. Got some vegan cookies to go. Had about 8 dif flavors. The place was huge, beautifully decorated, clean and contemporary if you’re in Orlando you should definitely seek it out. Hope they franchise out into other cities. Come to Pittsburgh please!